As a community, plus size people, women in particular, take a lot of crap from the brands who claim to support us. From half-hearted ranges that only go up to a size 24, to abusing their customers online, through to posting awful memes about women's bodies. It is so damn hard to find a company who truly care about what they do, but independent plus size companies seem to be the only ones who get it! So I'm going to feature picks from some of my favourites. First up has to be Ready to Stare, brainchild of the amazing Alysse Dalessandro. This one indy company has more diverse models featured on their website than basically any other company I've ever seen, and Alysse is a body positive activist who is so inspiring and incredible. I adore her! Her designs aren't afraid to be controversial and reject the notion of flattering, in favour of fun. Their body chains are my absolute favourite, it's such a rare concept to see in plus size fashion and a way to totally change up every outfit. Yet another US company, Zelie for She makes seriously striking pieces. 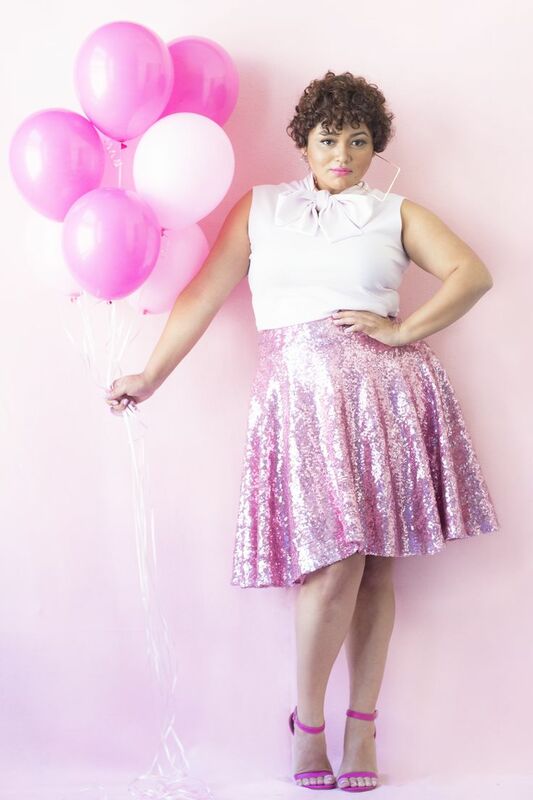 I mean, who wouldn't want a sequin skater skirt? That had me in love right away. 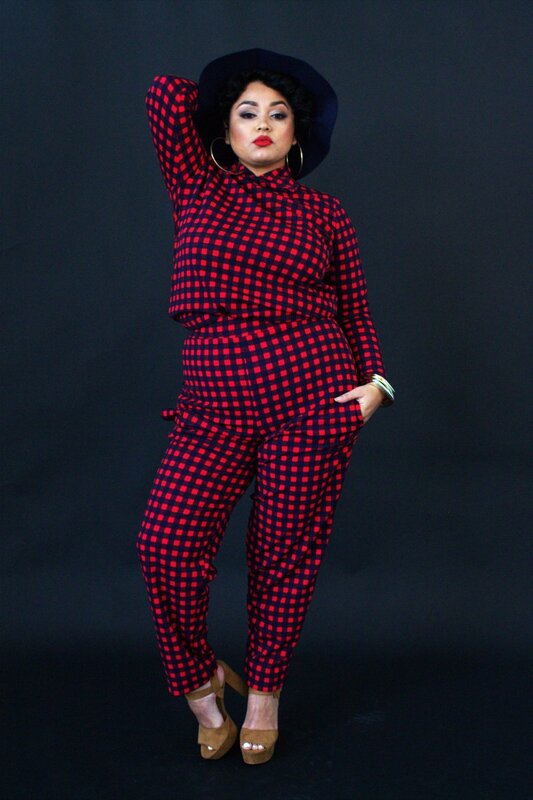 I can see Zelie for She becoming a serious powerhouse of the plus size fashion world and can't wait to see what they do next. Katrina Parker Frocks in a newer and smaller designer, but I absolutely love what I have seen so far! Sugary sweet dreams dresses and ridiculous accessories to go with them. They are currently working on expanding their size range and have more designs coming soon! Who are your favourite indy companies? We seem to be seriously lacking in UK indy brands! Speaking of independent companies, check out my latest Crown & Glory Glitterati unboxing on YouTube! Never heard of any of these companies. So thanks for educating me. There are some amazing clothes here. My Mum used to complain that as soon as vlothes go above a size 16 they seriously lose all sense of style and fashion. These are awesome! These days things are so much better! Thanks! Its hard finding brands that provide really fashionable and also style leading the pack so well done. Great finds. I love the Chubby Cartwheels green dress and the Katrina Parker dresses. I do find it disheartening to go into some shops and they stop at a size 16. When the average dress size is a 16/18 it is baffling! I've never heard of any of these. Loving the pink polkadot dress. Very cute. I hadn't heard of any of these, but love those final dresses and the pink sequin skirt - so pretty! Isn't it so fab? Everyone needs a unicorn dress! I'm loving those body chains! Some lovely outfits in this post too! Lovely pieces here. Never heard of these brands so good for me. Thank you for that list. I'm in love with that unicorn dress. Anyway, the way the sizes are running is absolute BS. I don't know what they think is a 20, but it sure isn't fiting me. Long way to go. Some great examples and outfits in this post. I haven't ordered anything from the US yet - not brave enough (I guess). Hopefully more UK based Indy brands will start to appear this year. Custom charges are such a risk aren't they? I hope so! Isolated Heroes only goes up to a UK 24, which is much smaller than a US 24 - which means their size range is even smaller than usual. Half-hearted offerings indeed. And Katrina Parker's largest size - an ostensible 5x - is actually more of a 3x and wouldn't even qualify as a US 24! Not truly plus-size inclusive at all. They tweeted me to tell me they are expanding their sizing yesterday because I mentioned that they only go up to a UK size 24. For an independent brand they still have a really large range of sizes, when big corporations won't do it! In the UK we don't use the 1x 2x sizes etc, so I wasn't totally sure what they translated as, but they are also increasing their sizing this year. I still think we should celebrate these small brands who are trying and encourage them! Wow, this unicorn dream dress looks totally adorable! These are some amazing companies! I absolutely support and agree with you, companies NEED to care about the women they are dressing. These brands are amazing and YESSSSS SEQUIN JACKET. I need me one of those!! !